There are two passions that fill my heart every day and drive the ministry of Living Hope. I believe that every human being must have a chance to hear and respond to the saving, life changing Gospel of Jesus Christ and every Christian believer must be involved in the Biblical command to care for the poor, the oppressed and those who suffer. I have been so blessed to see the ministry of Living Hope expand specifically as it relates to these two areas and I cannot help but marvel at what God has done. I am a born and bred South African who grew up during the apartheid era in this country. I was privileged to be raised in a great Christian home and recieved Jesus Christ into my life at an early age. My parents were forward thinking and their example of love for all people influenced me greatly. Early in my life, I saw and understood some of the inequities of the apartheid system and the tragedy of people whose lives were mired in poverty. I never forgot what I saw. After I graduated from Pretoria Boy’s High School, I went on to Pretoria University where I studied for a post graduate degree in Psychology. While at university, God called me to fulltime pastoral ministry. When I completed my degree in Psychology, in 1977, I left Pretoria, where I was born, and moved to Cape Town to study for the ministry. While at university I got involved with the Students Christian Association and attended a number of Student conferences where I met with people of all races. I listened to some of the students talk about some of the inequalities and indignities they suffered under apartheid. I found myself listening in a type of disbelief that this was happening in our country. From that time on I knew that in some way I would be involved with the poor and needy and I would try to respond Biblically to the inhumane and unrighteous policies and systems of our country. In 1981, I married my wonderful wife Avril and we moved to Fish Hoek while I served in compulsory National Service as a chaplain for the South African Navy. 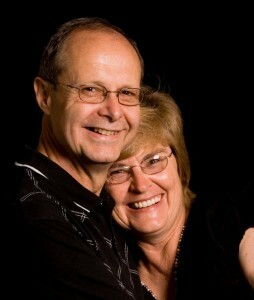 Two fabulous children, Victor and Sheralyn came along and have been a continual encouragement to our lives. At the beginning of 1983 Avril and I accepted a call to pastor a church in Howick, KwaZulu-Natal. We had a wonderful time there and were blessed to see that church grow significantly and take it through two different building projects in four years. In the beginning of 1987 we responded to a call to Fish Hoek Baptist Church, now King of Kings Baptist Church, in Fish Hoek. It was a small church and there were thirty-seven people at our first service. We so enjoyed the beauty of the two oceans on either side of us, however, in the middle of this valley I found a group of about 300 black squatters living illegally on private land. My heart was so moved and I challenged our church to get involved with ministry to them. Going against the grain of apartheid, which separated people from each other, we stepped out in faith and started to reach out in evangelism towards them. One day, as I arrived in the squatter camp to do some follow up work, I was horrified to see the South African Police bulldozers flattening the tin shacks of these people. It made an indelible mark on me and I decided there and then to do something about it. Seminary never taught me anything about this sort of stuff, so I went back and studied all that Jesus had to say about the poor and I soon found that Jesus had so much to say about the poor and needy – I therefor had no choice, but to respond. Our church soon put up a small building (illegally) in the area and we used it to start a school, and then a clinic and subsequently a church. We called a black pastor Philip Mokson to lead this effort. Philip who became one of my closest friends, was an outstanding leader in that now rapidly growing community. Our work of compassion and upliftment there was recognized by the government leaders and soon we were given a plot in the most strategic position in the developing Township now known as Masiphumelele. Our Church was there from the beginning, in 1995, but so much more was to come. In November 1999 I heard a statistic that irrevocably changed my and our church’s life. Later I learned that the numbers I heard were incorrect but it was too late. God had already used them to spur me to action. I was told that 44% of the people in Masiphumelele were HIV positive. That rocked me and I determined before God to do something about the plight of HIV and AIDS suffers in our immediate area. Again our visionary church leadership agreed that we needed to build on what we had already done over the years and get involved in the AIDS pandemic. We began with our little faith in our great big God and in the year 2000, we launched and established Living Hope, a ministry to people with HIV and AIDS. At that time, people with AIDS had little access to anti-retroviral drugs and they died gruesome deaths. Neglected by even their loved ones, we determined to step in and show them how much God loved and cared for them and to seeek to point them to Jesus before they died. To do that well, we needed a building, a hospice to start with. Daring to risk for God is a part of my makeup and, with the full support of our church I took a number of what some might describe as “risky” steps as we established Living Hope. I prefer to call them “leaps of faith”. Our church purchased properties with no money and trusted God for the funds and for the abilities which our people did not have at that time. God came through for us fantastically over and over again. With His help we dared step into the battlefield of HIV and AIDS and we have not looked back since. The more we have expanded under God’s direction, the greater the blessing. There have been many challenges, but our great God has seen us through as we have prayed. Best of all we have seen people’s lives changed and we never lose hope in God’s purposes or His power and sufficiency on behalf of this ministry. In 2007, our church, King of Kings Baptist Church was honoured and blessed to receive the first Courageous Leadership Award given by the Willow Creek Association and World Vision. I was humbled and surprised at the same time when, Willow Creek Senior Pastor Bill Hybels, in presenting the award described me as “a courageous leader, who is bringing it in the fight against AIDS.” I just felt this was something I had to do and as a church we were simply seeking to carrying out our Biblical responsibilities to people in our area. We had no intentions or desires to get recognised. Understanding that God had taken our simple obedience to reach our local area and had brought us into the world spot light, inspired me to attempt even greater things for God and to seek to grab the opportunities He put in our path as a ministry. I believe we all get the same opportunities, it is how we respond to them that defines us. Through the grace and power of God we ministered to more than 28000 people last year. There are two Scriptures about God’s purposes that challenge me and compel me to minister to the poor and the sick. They are Isaiah 58:6-7 and Matthew 25:31ff. We must be a part of breaking the yoke of poverty and oppression but we also need to be very practical in our compassionate action as we bring Jesus as the Way, the Truth, the Life and the Hope to all who are in need. Jesus mission statement was so clear, “The Spirit of the Lord is upon me, he has anointed me to preach good news to the poor.” It is my desire that Jesus’ burden, actions and message be mine. This is what I want for my life for as long as I am here on this earth. The stories of our courageous patients, the dedication of our staff, the trust in the giving of our donors and the awesomeness of God all continue to motivate us to make a massive dent in poverty in Cape Town and throughout Africa. We must do all we can to break the oppression of poverty and, by our actions and preaching, show people how much Jesus loves them and how He can meet their needs. My on-going dream is this – when people look at Living Hope I want them to see Jesus in action.